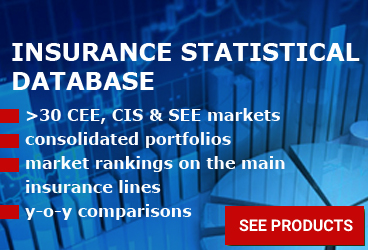 Romanian insurance market recorded in 2018 GWP worth EUR 2,174 million and EUR 1,278 million in paid claims. Total GWP volume rose by EUR 92 million compared to 2017 results (+4.44%) while claims level increased by EUR 185 million (+16.97%), mainly due to motor claims increases. Life sector recorded EUR 450 million in GWP (+4.17%) and EUR 220 million paid claims (+2.67%), both increasing in 2018, compared to 2017. 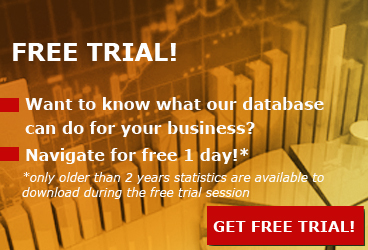 Unit-linked business line decreased by EUR 11 million (-8.87%) in GWP. Non-life sector recorded a GWP volume of EUR 1,724 million, increasing by +4.51%, while paid claims were EUR 1,054 million, increasing by +20.74%. 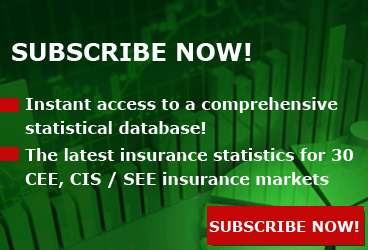 The most notable increase was on Health insurance, where premiums increased by +74.26%. Health insurance has a low weight in total market thought, only 2.27%. Life and Non-life sectors kept similar weights in total market, compared to previous 10 years results. In 2018, Life sector reached a market share of 20.75% while the rest of 79.25% went to Non-life business lines. The 79.25% GWP weight from Non-life sector was composed mainly from 36.4% MTPL, 20.4% Motor hull and 10.5% Property fire and allied perils. The rest of the Non-life classes had less than 3% GWP market share. Although Motor classes together recorded aprox. EUR 1,247 million in GWP, representing more than half of the total market, their paid claims value was very high as well. 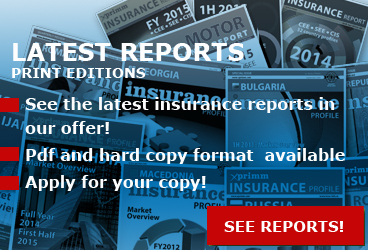 Motor claims reached EUR 902 million, showing a +22.3% change compared to 2017. In particular, Motor hull claims increased by EUR 49 million (+19.2%) while MTPL claims increased by EUR 116 million (+24.0%). 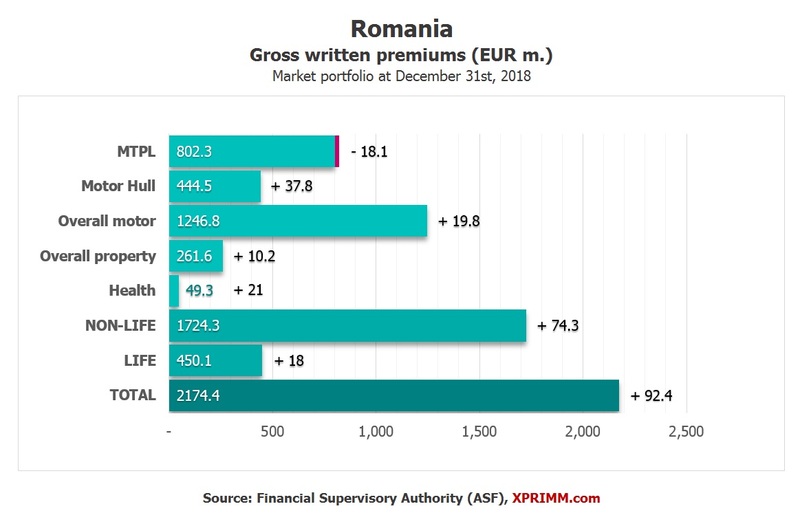 Access http://www.xprimm.com to download FY2018 Romania insurance market statistics.